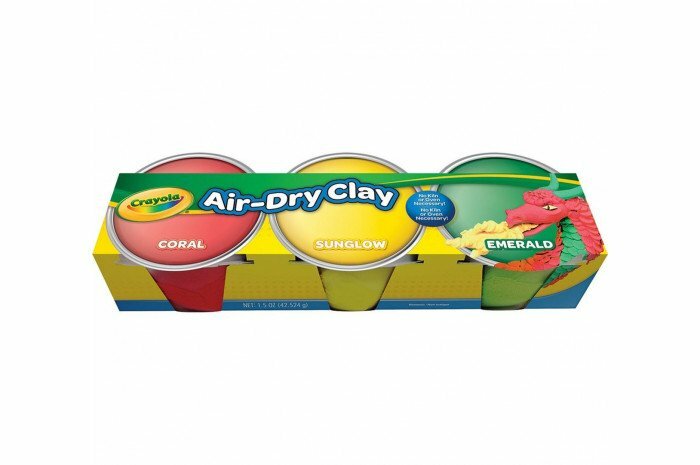 Crayola Air-Dry Clay is a fine, natural earth clay which dries to a hard solid: no kiln or oven necessary! 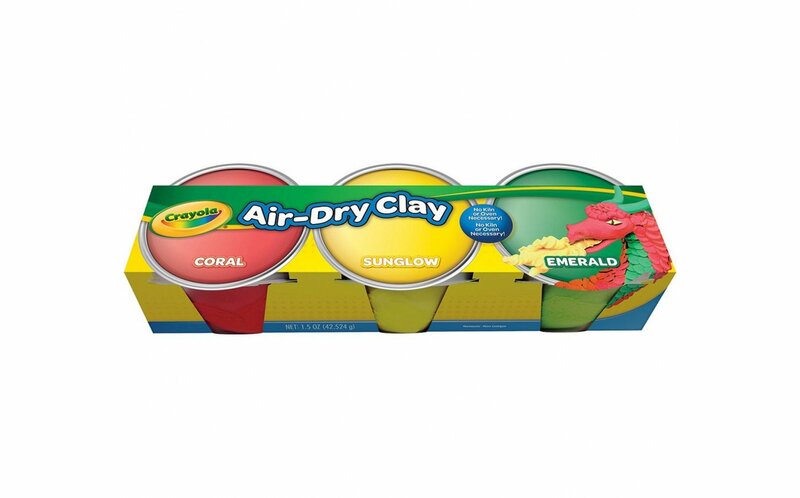 The 3 colors, Coral, Sunglow and Emerald, come in reusable tubs to keep your Air-Dry Clay moist so it's ready when you need it. Safe and nontoxic.